By Rob Rinaldi. Published in the Autumn 2014 N-News. Vol. 29 No. 4. 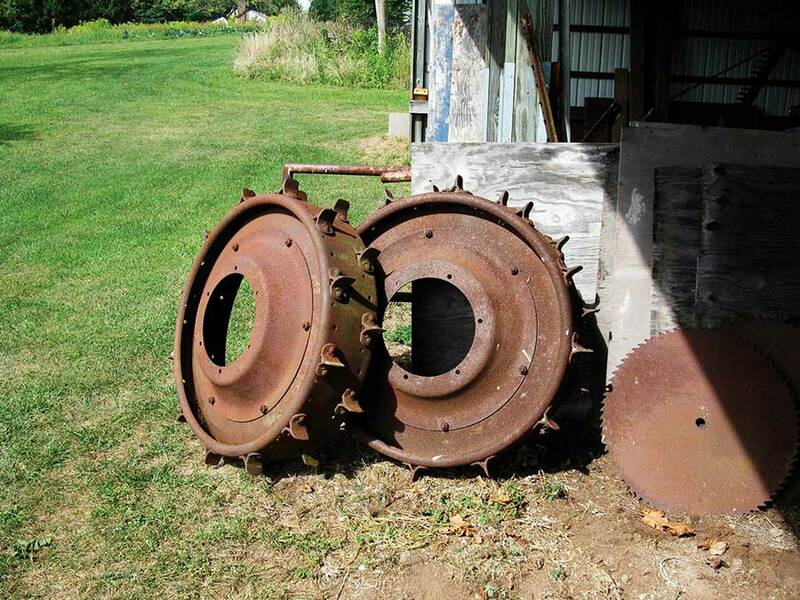 These days, Steve Domkowski makes his living as a welder/fabricator, but he comes from a long history of farming. Steve’s great-grandfather, Vincent Domkowski, moved to their home place over a hundred years ago and started a small truck farm and beef operation. Steve’s grandfather Anthony took over the operation, followed by Steve’s father, Anthony Jr.
Ford tractors have always been the primary power on the farm and though Steve is not farming the home place now, he is honoring that tradition by working his way through the restoration of several Ford tractors, all of which started out on the farm or in his father’s collection. 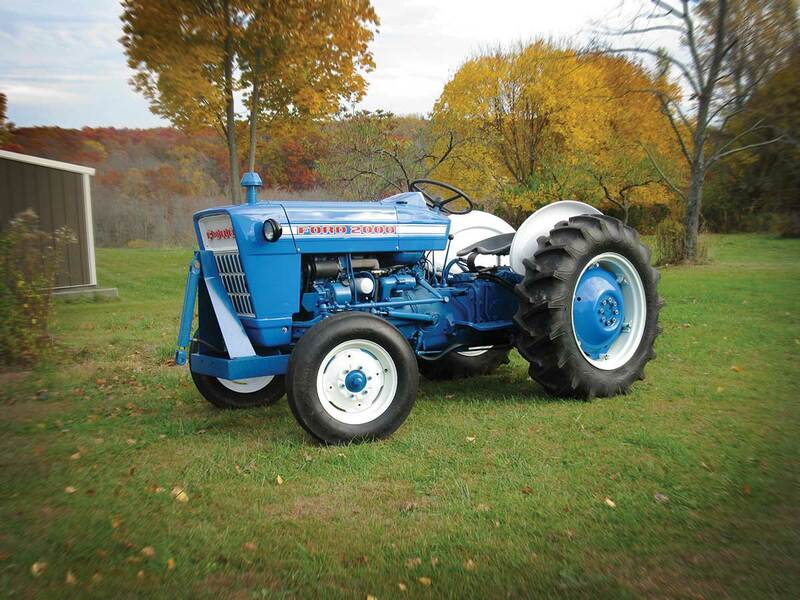 Though Fords were always the tractor of choice at the Domkowski farm, Steve’s dad got bit by the collector bug and starting buying up older Fords for possible restoration and often, just for parts. “We have quite a boneyard, which will come in handy for my continued restoration work” said Steve. There are numerous N-series machines in addition to a Worthington-Ford powered golf course rig, and a Ford Industrial 4000 backhoe. First on the list of restorations was this 1969 2000 Diesel. 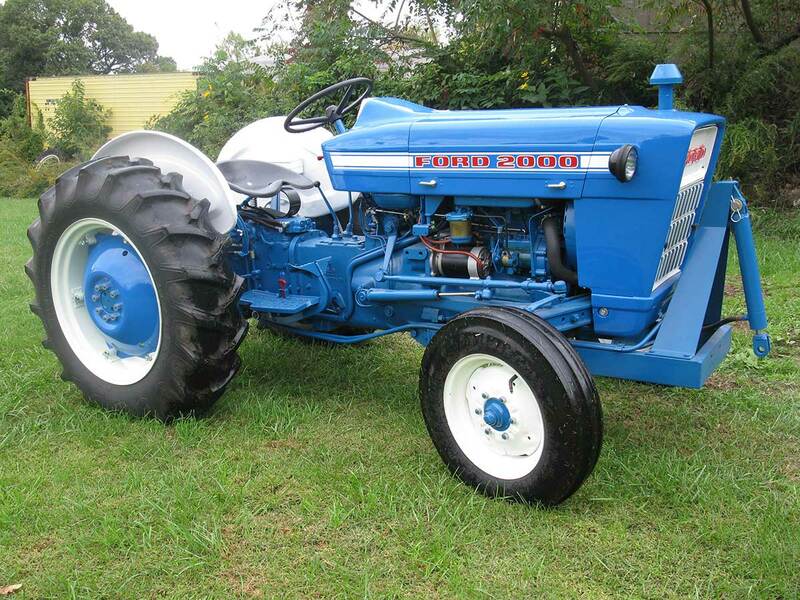 Originally purchased in 1970 with 120 hours on it, Steve grew up on this tractor, spending many, many hours in the field making hay. 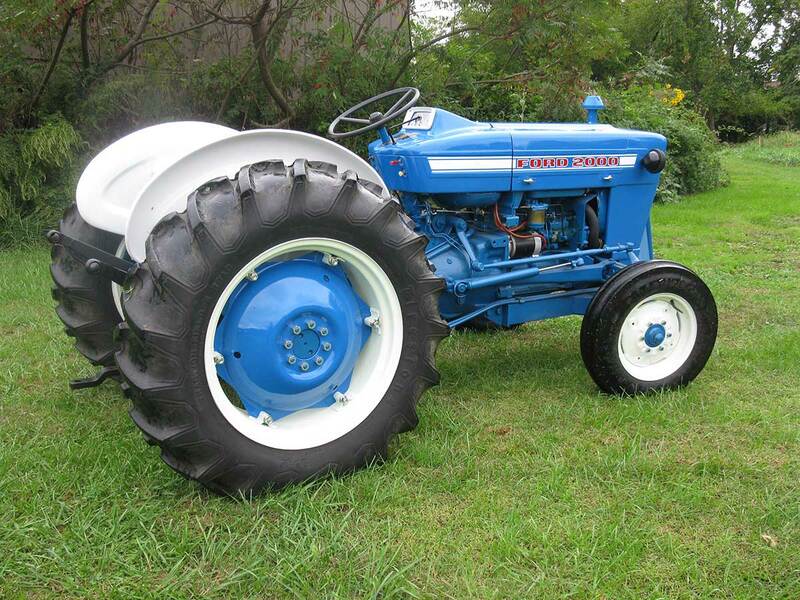 Even though there had been other Ford tractors on the farm, this machine stood out as the first diesel engine. Hopefully, Steve will keep the restorations happening and send in photos of his progress. In the meantime, he is sure to enjoy this nicely restored 2000. Enjoy this article? Subscribe to the N-News Magazine for more essential N-News! Subscribers have made the print version of the N-News Magazine a success for 30 years. Pick one up today! This entry was posted in Feature and tagged Ford 2000, Steve Domkowski by N-News. Bookmark the permalink.